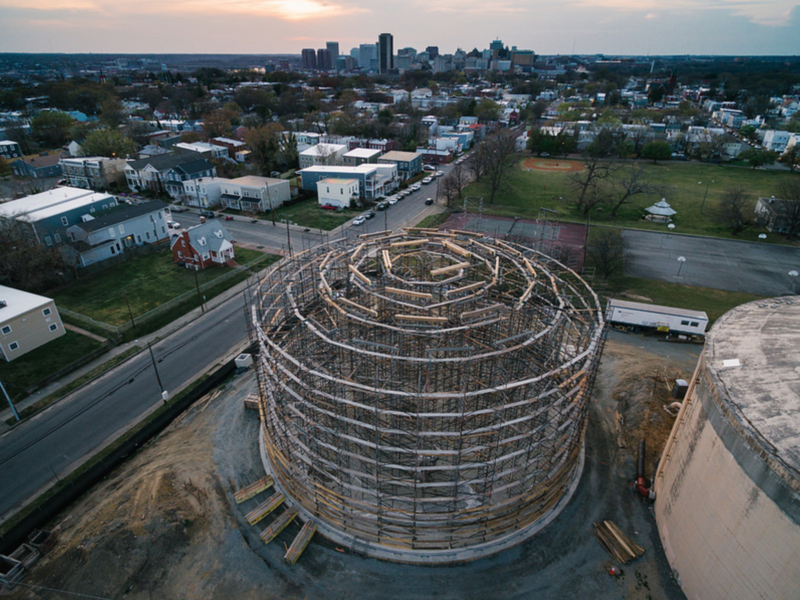 Fantastic photo of the new water tank by William Robinette, from the Church Hill Flickr group. More than a decade ago we started the Church Hill Flickr group as a way for neighbors and local photographers to share their photos from around Church Hill. It’s become an open, deep, group-sourced archive of more than 7,500 photos documenting the neighborhood over the last decade. To add to the collection, you’ll need an account at Flickr (free!). Then, join the Church Hill group. You will be able to select which photos of yours that you would like to add to the public pool.